The Sheldall School took its name from Lars Sheldall, on whose land the school was established. Built by Lars Henryson in 1860, this was the first public school in southern Hamilton County. For the next twenty-five years, students attended classes here, coming from Scott Township as well as adjacent townships including the northern part of Story County. The children who attended the Sheldall Schoolhouse were the children of Norwegian immigrants who had migrated to Iowa in prairie schooners and began farming here as early as 1855. This online exhibit will explore the lives of those farm children, the teachers who taught them, the ways in which they interacted with their school, and their lives after leaving the Sheldall Schoolhouse. Sheldall Schoolhouse provided education for 241 students and employed 30 teachers. The Sheldall Schoolhouse was also the only public building available at the time and was often used for public and religious events such as elections, funerals, and weddings. The Sheldall Schoolhouse was also used to host friendly competitions and events between neighboring schoolhouses. These events included musical programs, debates, and spelling bees. The Sheldall Schoolhouse was moved three quarters of a mile northwest onto Lars Henryson’s farm. The schoolhouse was then used as a practice location for the Riverside Band. The Sheldall Schoolhouse was moved to Randall where it was used as a private residence. In 1915 the Riverside Band moved the Sheldall Schoolhouse back to its original location on the Sheldall farm. This land was now owned by the Henryson family and was donated by Mrs. Carrie Henryson, the widow of Osmund Henryson, whose brother was Lars Henryson, the man who constructed the schoolhouse in 1860. 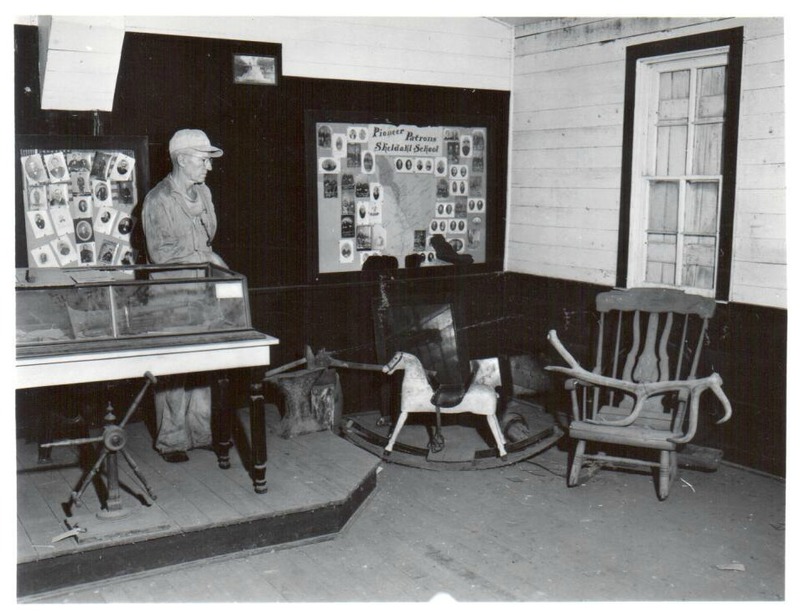 The Sheldall served as an early museum for the preservation of local relics, pictures, and various mementos. 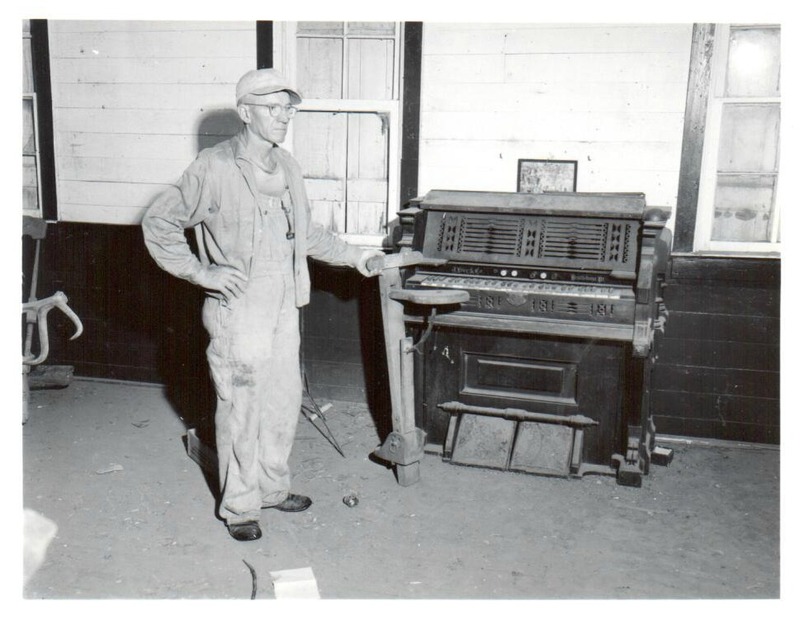 Herman Tjernagel at Sheldall Schoolhouse circa 1950. The Sheldall Schoolhouse was in jeopardy due to interstate construction. The schoolhouse was then moved to Riverside Bible Camp where it was used as storage space. The Story City Historical Society purchased the Sheldall Schoolhouse. A lot was purchased on Hillcrest Drive in Story City and the schoolhouse was moved there. The Sheldall Schoolhouse is now a museum showing how education was conducted between 1860-1885. Tjernagel, Nehemias. The Passing of the Prairie by a Fossil: Biographical Sketches of Central Iowa Pioneers and Civil War Veterans. Bloomington: AuthorHouse, 2009. Tjernagel, Nehemias. The Sheldall School: Historical Sketch. 1929. Tjernagel, Peder Gustav. The Follinglo Dog Book: A Norwegian Pioneer Story from Iowa. Iowa City: University of Iowa Press, 1999.